We've met several fishermen, who love their sport, and have found a way to expand their interest to make lives better for others. 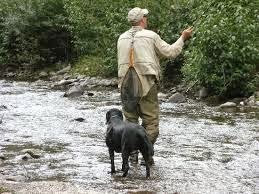 We know a dynamic Texan who is volunteering with Reel Recovery (www.reelrecovery.org) a national non-profit organization that conducts free fly-fishing retreats for men living with all forms of cancer. Another individual we met is with Project Healing Waters, www.projecthealingwaters.org) which offers services and programs to injured military service personnel and disabled veterans throughout the country. Of course as with any idea…only invest what you can afford to lose. It can be a great way to create a next act that makes life very interesting and as well as fulfilling.